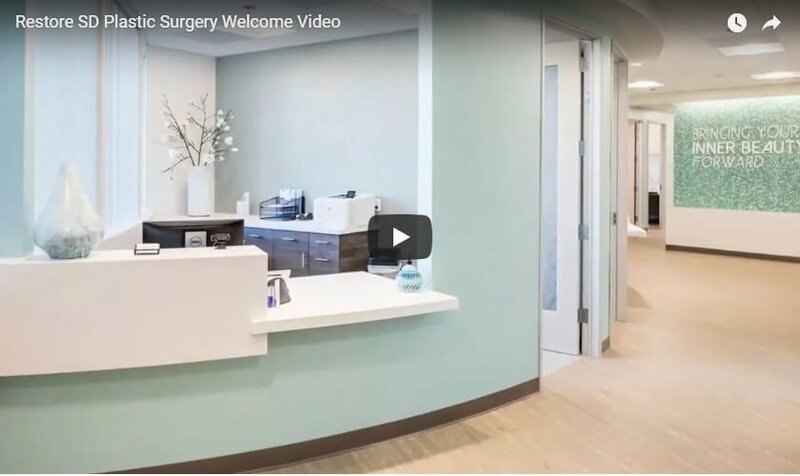 Welcome to Restore SD Plastic Surgery! Learn about the practice established by board-certified plastic surgeons, Dr. Trent Douglas and Dr. Katerina Gallus in UTC San Diego. Restore SD Plastic Surgery is a full-service practice, we offer everything from head to toe. In consultation with me, we are going to discuss your plastic surgery goals. What area are you interested in addressing and what specifically do you want to see an improvement in? When I first went in, I thought I needed a tummy tuck because I’ve had three C-sections and I had a little pouch from having the C-sections. She was like, no you don’t need a tummy tuck, you just need a scar revision. I was very impressed by her integrity because she did not try to upsell me to get a different procedure that I didn’t even need. During the consultation, we take a 3D photograph using our Vectra XT system. The software allows us to look at sun damage. It also allows us to put implant sizes in patients who are seeking breast augmentation, show what a breast lift would look like. I think that this emerging technology is really great because it lets people see what it looks like on their body. I think education is an important part of any plastic surgery consultation. I will spend time talking about the procedure, the decision points that you need to make in the procedure, what to expect afterwards, and the recovery time because it’s the whole package, it’s not just the operation. You need to know, how long is it going to take me to get back to my baseline of activity and what’s my new look going to look like. I love my job and I love coming to work here at Restore SD Plastic Surgery every day. I take pride in working with individuals to create very realistic results. As a mother of three who was getting ready to turn 50, I wanted to feel as good on the outside as I do on the inside. Dr. Douglas came highly regarded from various individuals that I encountered, and I worked with. When all was said and done, I couldn’t believe the results. It was phenomenal. We’re excited for patients to come see us and be part of the family here. We’ve assembled a great team and a brand-new office. At Restore SD Plastic Surgery, we’re looking forward to meeting you and helping you bring your inner beauty forward.